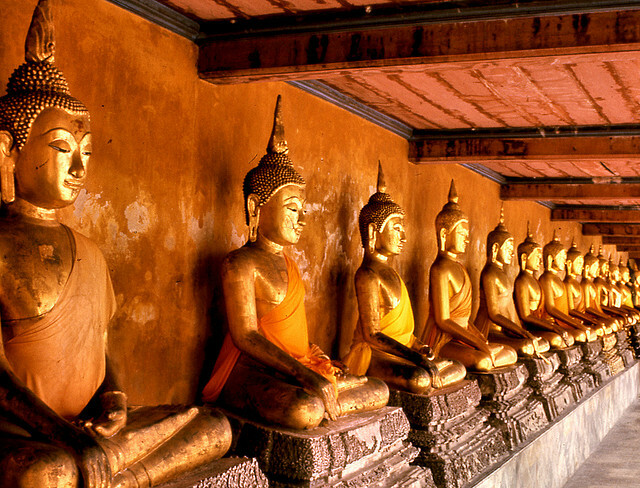 Bangkok, Thailand is a vibrant city where I have only spent about a week in total. It is humid and sticky in August and pleasant during the school months. I mostly used it as a travel hub, but it is so much more! Before you read any further you should probably know that ISB is considered by many international teachers to be one of the top international schools in the world. If I were offered a job here I would stay for a long time! It says the student to staff ratio is 10:1. That is incredible for such a large school! The school website says that each class has an assistant too. The school website says that, “each Elementary School classroom is equipped with a surround sound system, a digital projector, a SMART Board and wireless Internet.” It also says that there are multiple mobile laptop carts! Not mentioned on the school website. However, I read a comment in a forum that said it was 15% which is really nice! This school is so well known in the international teaching scene that they must feel like they don’t need to list any benefits on their website. On the forums and blogs I’ve read, I’ve seen ISB frequently listed as having one of (if not the) top package in SE Asia. I once read in a forum that the average teacher at this school makes $70k plus housing and other benefits! I love the mix of the old and new in this city! The shopping, food, and Thai massage, is great and so is the lightrail. While driving can be a little slow sometimes, it is always an adventure! The airport in Bangkok was clean and efficient every time I visited, and this makes for a great travel hub. While English is not super common in this city, many signs are written in English so you can get around fine. Also, Thais are some of the friendliest people I met while in Asia. This site lists 7 nights of salsa dancing per week! Bangkok even has Cuban Salsa which I love the most! The school website lists the school as having 220 teachers. It says that the average years of teaching experience is 18 years. This makes me think that the teachers are mostly middle aged. Who doesn’t love Thai food? Over the years I’ve spent about a month in Thailand and whenever I go there I feel like I should be gaining so much weight because I can’t stop eating. However, the small portions and healthy meals (plus a good dose of walking in the summer heat) manage to keep me healthy. Please comment! 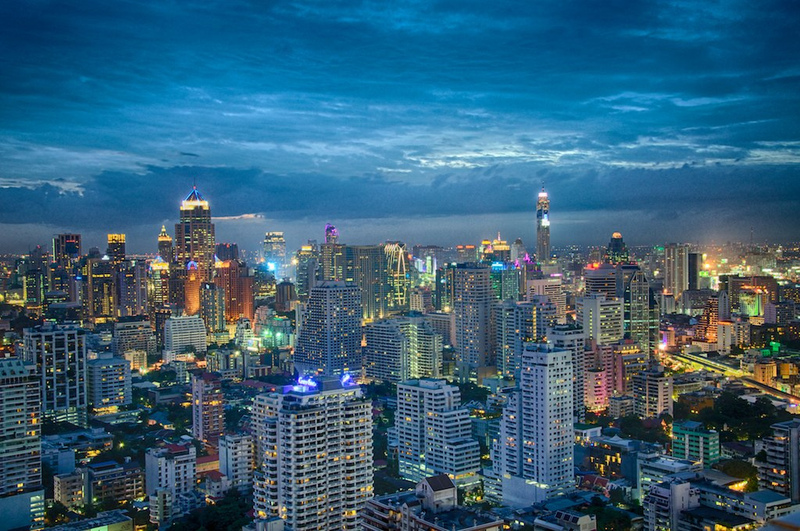 Have you been to Bangkok? Would you want to work there? Have you or someone you know worked at the International School of Bangkok? Can you add any info to what I’ve listed above? The school is great. I have several friends who work there. The problems with SE Asia are in the romantic department. Having lived there for two years I can say that MOST men are only interested in “dating” the girls from that country. It can be so slimly at times when you see a 16 year old girl with an old, fat sixty year old man who is all over them. MOST men there do not want to even talk to someone who does not weigh less than 90 pounds, who is not submissive, and who does not hang on their man’ s every word. Plus the local men, at least to me, are not as attractive as I find in other places. AND when you go in to a store the sales girls will call you fat and ask you question about your weight. Yes, I can believe what you say about the it being difficult to find romance in BKK. When I visited I constantly saw older guys with young local women. While I was shopping in Thailand I just didn’t go looking for clothes (mainly scarves and artwork) so I didn’t experience the snotty sales clerks there- but I certainly did in China! I just try to not let it get to me and do my clothes shopping before I arrive in Asia. There is nothing pleasant about Bangkok’s weather apart from the two days of actual ‘winter’ (read below 25 C) which are glorious. Having said that, the storms recently have been pretty damn cool. ISB is a good school by all accounts but there are loads of top flight international schools here ranging from British curriculum/IB like Harrow, St. Andrew’s and Patana to NIST, Bromsgrove and a slew of Singapore curriculum mash ups (Thai-Singaporean and Anglo-Singaporean being just two). It’s a good place if you don’t mind utter mentalism and can stand the heat. We mostly enjoy it. ISB is definitely on our list for the future; admin are very welcoming and easy to talk with. But! We’re at ISManila now (another IASAS school), and it will be hard to leave here. Of course Manila is not great (like Bangkok), but it’s all about proximity to school. It literally took us an hour and forty-five minutes to get home on Wednesday, and it’s usually a twenty minute drive.. ay yai yai! IS Manila is on my list of schools I would like to work at too! I think that driving in that traffic might make me crazy though! I liked BKK because the lightrail was really efficient and could get me many places I wanted to go. When it didn’t get me where I needed to be I would just hop on a Tuk Tuk for a short while and get there. Do most teachers as ISM have a personal driver (or a regular taxi driver) so they can grade, take a nap, or read a book while stuck in traffic? We have a car because public transportation is basically only taxis (which are at least cheap). I do actually know a foreigner who regularly takes the rail here, and it seems like it’s actually the worst thing ever. People just jaaaam in there. We had a private driver to school for some time and would take taxis home, but I had a baby in April so we needed something more reliable and easier with a car seat. Traffic isn’t always awful, but the “-ber” months are unusually busy, said to be because Christmas is upcoming. Most ridiculous reason for extra traffic? Yes. We also got our jobs through Search and it was really an exhilarating experience! We went to the London Fair. I think that driving in Venezuela has prepared me well if I ever need to drive in Thailand! I’ve managed to avoid going to the Fairs so far, and I would like that trend to continue. Maybe one day. Most of the time the weather in Venezuela is also quite warm (usually between 19-36C) and humid (around 70%) and as long as I can get some air conditioning regularly I’m fine. Would you say that most teachers in BKK get their jobs by attending one of the big fairs held in BKK? Yeah, Search Associates are the top guys in the region. They have fairs in Jan and May I think.